Whether it is your customers, employees, friends, or family members, you cannot just pick any ordinary bag to pack their gift. 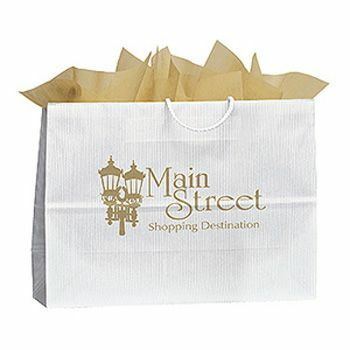 You need to choose our Imprinted Uptown Shopper courier bag to pack their items. The packaging you choose represents your business and you as a person. Be a person of taste and offer them our Imprinted Uptown Shopper. 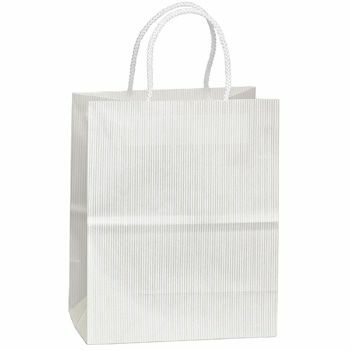 7.75 X 4.75 X 9.75"
10 X 5 X 12.75"
Ordinary and conventional shopper bags no longer create the buzz you need to create a lasting impression on the recipient. We often forget that appearance of the packaging matters as much as the item inside the courier bag. Our consolidated are sophisticated and elegant alternatives you should consider this year to promote your items and give gifts. 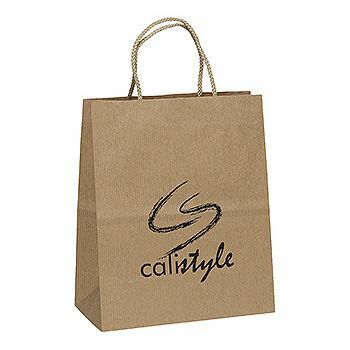 You can customize the bag with your company’s name and even add recipient’s name to it for a personal touch. Package your items in a bag that is worthy of them.